A few years back, I wrote about how a New York County trial court refused to dismiss two at-will employees that worked as placement professionals, and were promised both salary and commission did not forfeit their earned commissions - even though they never reduced their agreements to writing, in derogation of the Statute of Frauds. Fast forward a few years later, and an appeals court across the river in Brooklyn followed suit. 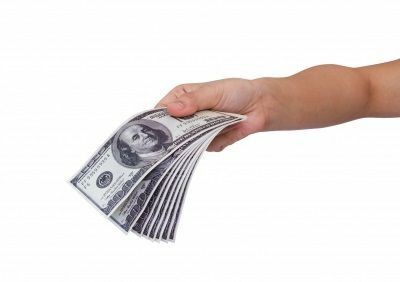 Plaintiff Works Based on Defendant's Promise of "Don't Worry, We'll Make it Up to You on the Next One"
The plaintiff, a consultant, had earned certain unpaid commissions working for two companies that were later acquired by the defendant. Naturally, the plaintiff wanted to be paid for his prior work, and the defendant wanted him to keep working. So guess what did they did? They promised him they would make it up to him - that's right - paying him for the prior two jobs from the gobs of money they planned on making on this new, third job. On top of that, the defendant orally agreed to pay him future commissions with respect to those clients he had already referred to the defendant. And then ... the defendant reneged. "Under a longstanding exception to this rule, however, the promise need not be in writing if it is supported by a new consideration moving to the promisor and beneficial to him' and provided, further, that the promisor has become in the intention of the parties a principal debtor primarily liable. The plaintiff raised triable issues of fact as to whether his continued efforts to secure a particular client, Adecco, on behalf of the defendant constituted new consideration running to the benefit of the defendant, and whether the parties intended the defendant to become primarily liable for the unpaid commissions [that defendant's predecessors in interest] owed to the plaintiff." In other words, once the defendant (plaintiff's former company's successor-in-interest) accepted the benefit of plaintiff's continued work on their behalf, ostensibly in exchange for agreeing to pay him what he had previously been owed, they could be held on the hook for it under New York law. Post a Comment to "Unpaid Commissions Claim Survives, Despite Lack of Writing"